Recently, the British media have been describing Russia’s military-political policy as “aggressive” and threatening to the European countries that are planning to deploy elements of the American ballistic missile (ABM) defence system in their countries. All this attests to a one-sided view of the complicated and tricky issue and misleads the British public about the Russian position on the Euro ABM. I would like to clarify the situation concerning Russia’s position on ABM and tell readers candidly what has prompted our doubts and concerns. The inseparable connection between strategic offensive and defensive weapons has for many decades been an axiom for Russia and the United States. Military experts and politicians in the two countries have always assumed that an imbalance in this area was fraught with destructive consequences for international security and strategic stability. Russia welcomed President Obama’s 2009 decision to revise the plans for missile defence in Europe that would radically upset the strategic balance by giving the US substantial unilateral advantages. The decision helped to conclude the Strategic Arms Reduction Treaty (Start) on April 8, 2010, which clearly states the inextricable link between strategic weapons and missile defence. However, while formally renouncing plans to deploy ABM, the US embarked on a new missile defence project in Europe as part of the “phased adaptive approach.” Russia finds this initiative equally worrying because it envisages the deployment of a capacity of interceptor missiles and other anti-missile facilities close to Russian borders and on waters adjacent to Russia. Russia has never denied the possibility of risks and threats arising from missile proliferation. The Russian initiative to create a joint European missile defence system based on a sectoral principle put forward at the Russia-Nato Council summit in Lisbon involved the formation in Europe of a common security perimeter with equal Russian participation. The Nato partners were invited to develop a concept and architecture for a Euro ABM that would be jointly controlled and proportional to potential threats without undermining strategic stability. Russia was prepared to develop its proposal on the joint Euro ABM taking into account the opinion of Nato partners, but on the condition that the equality of the parties is legally enshrined. Such an approach opened up unique opportunities for Russia and Nato to build a genuinely strategic partnership based on the principles of indivisible security, mutual trust, transparency and predictability. Unfortunately, the United States and other Nato partners did not show a serious commitment to moving in that direction. 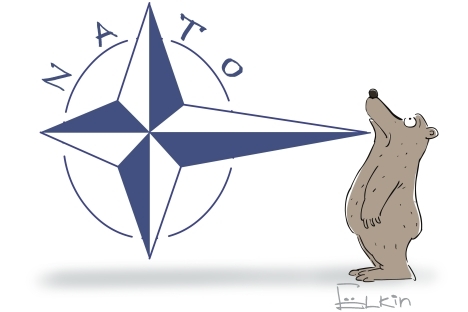 They do not intend, at least for now, to take into account Russian concerns about the architecture of Nato’s Euro ABM. They refuse to give Russia a say in determining the parameters of the future European missile defence system, its concept and architecture. The main stumbling block is guarantees for the non-targeting of missile defence deployed in Europe against Russia and our strategic nuclear forces. We are being assured at all levels that the future missile defence system is not intended to weaken the Russian nuclear deterrent. But our proposals to make these assurances legally binding are rejected out of hand. Meanwhile, the creation of the Euro ABM is gathering pace. We are ready to discuss the status and content of such obligations, but they must be formulated in such a way as to enable Russia to judge not on the basis of unsupported promises, but on the basis of objective military-technical criteria how the US and Nato actions relate to their declarations. During the conference on missile defence issues held in Moscow on May 3-4, Russian experts presented comprehensive assessments of these criteria. But we did not hear an articulate statement on Nato’s position. We continue to assume that the creation of missile defence in Europe without Russia’s participation will inevitably conflict with the Euro-Atlantic’s ongoing search for common principles of regional security. There will be the risk of a rollback to the times of confrontation and dividing lines. The formation of new security architecture in Europe will be called into question. There is still time to reach a mutual understanding. Russia has the political will to do so. But if this is to become reality, our partners must approach the task of taking into account Russia’s legitimate security interests in an honest and responsible manner. Failing that, Russia will have to act in accordance with the way events develop. Russia reserves the right to renounce further moves in the field of disarmament and arms control, although this would be a highly undesirable development. In addition, considering the inseparable link between offensive and defensive weapons, there may be grounds for our country’s withdrawal from Start. Russia is not shutting the door on dialogue with the United States and the North Atlantic alliance on issues of missile defence or on practical co-operation in this sphere. But the road to such work lies in the creation of a clear legal framework for co-operation that would ensure that our legitimate interests are taken into account.